You have 60 characters left. 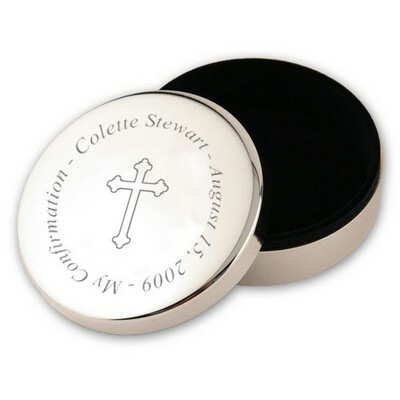 Confirmation or First Communion gifts are hard to find but this velvet lined silver plated 5-3/8" x 3-7/8" x 1-3/4" jewelry box will make a great impression. 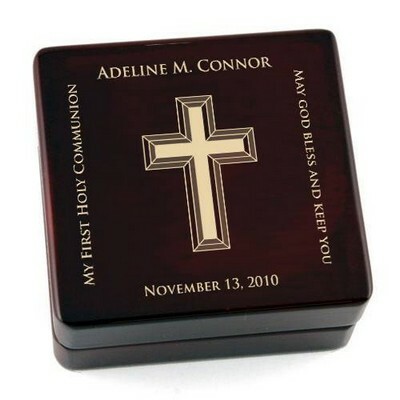 A beautiful cross adorns its lid to mark the religious occasion. 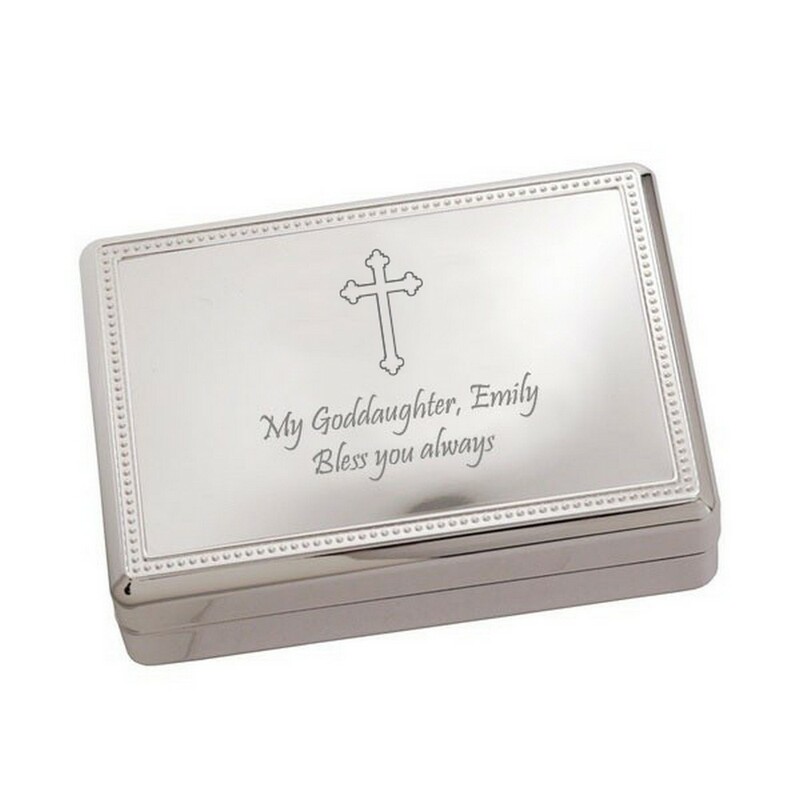 You can personalize it with your own message making this a gift that can also be used for a baptism, christening, or any religious occasion. 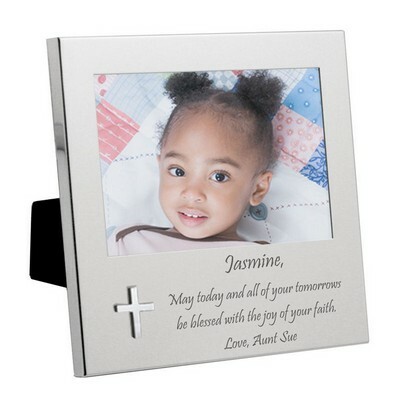 Personalize this gift with the recipients name or a short message. You can earn 50 MG Rewards Points on this product! 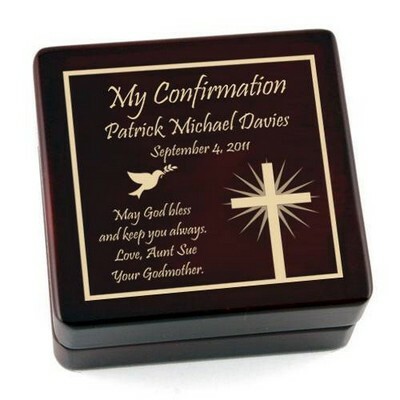 Comments: The cross jewelry box was a perfect Confirmation gift. It's a solid beautiful piece. Very high quality. Would definitely purchase again. 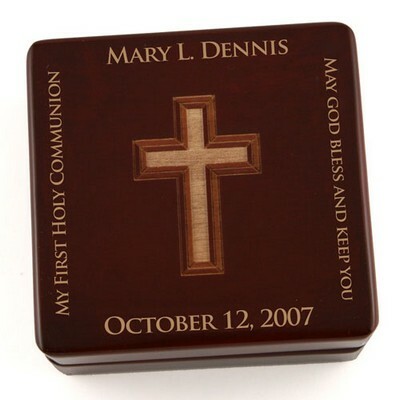 The free engraving was gorgeous. Comments: This lovely velvet lined silver box was engraved engraved to personalize it for the recipient. I hope it was well received and will be treasured always. Comments: This is the second Jewelry box I've purchased. 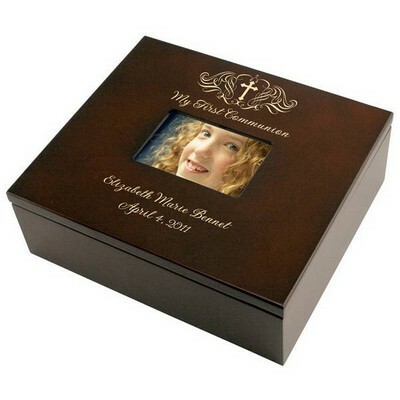 It makes a beautiful baptism gift. 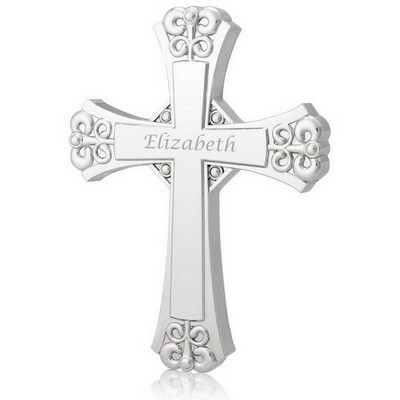 Engraving looks beautiful. 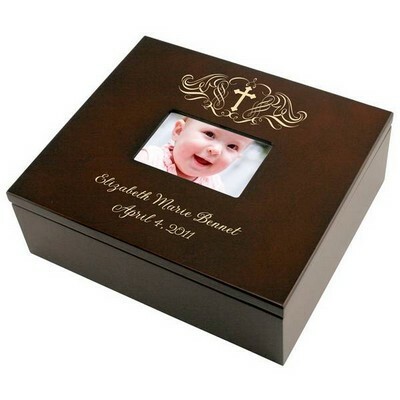 Comments: I ordered this for a baby boy baptism. It is of great quality and looks beautiful. 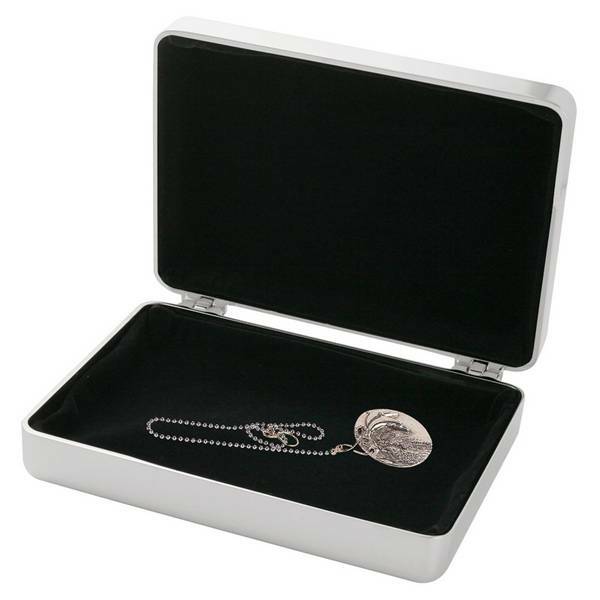 It will be a special box that can be used for jewelry or trinkets.